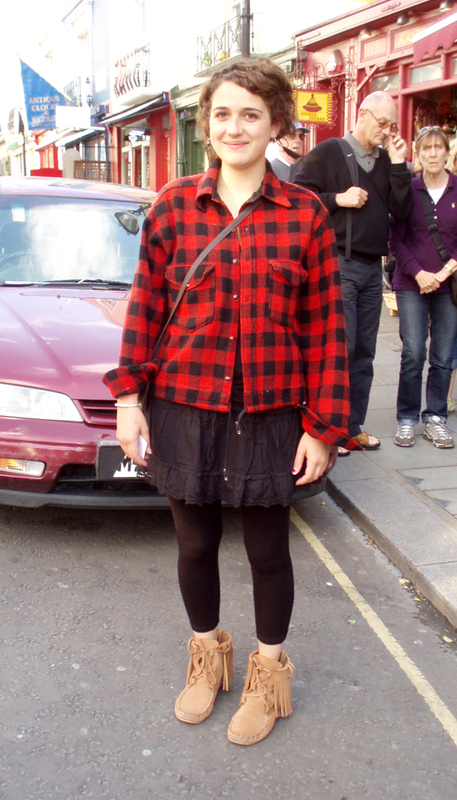 See, more black and red plaid! the lumberjack -cool is now a very hot trend. I love the little moccasin boots too, and the hair and peacock earrings, all very consistent. I love London and its unique style!!! I'll put you in my Favourite Links! !